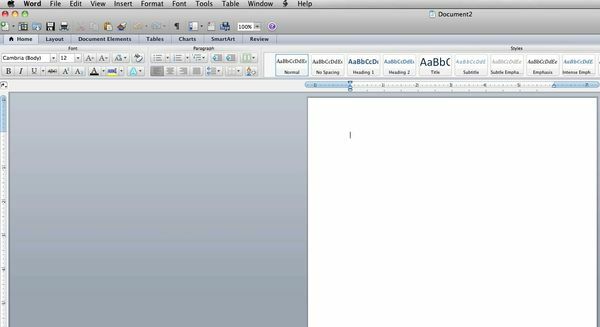 To update office for Mac 2011 open a program from the suite like Word. From the help menu click check for updates. Select if you’d like to do this manually or automatically. 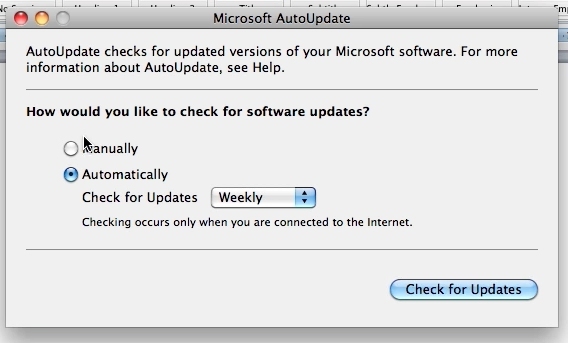 Then click on check for updates. 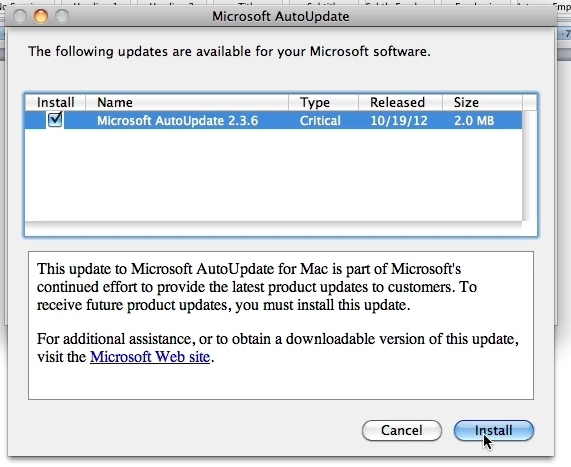 If there are updates you will now be able to update office for Mac.